Carol L. Folt will be the next president of the University of Southern California. Her appointment was announced by USC Wednesday after the board of trustees voted unanimously for her to lead the 139-year-old private university. Folt, who will start the job July 1, will be USC’s 12 president and the first woman in the position. “Dr. Folt stood out from the very beginning as a courageous and compassionate person who always places the well-being of students, faculty, staff, and patients at the heart of all she does,” the board’s chair said in a written statement. C.L. Max Nikias resigned the presidency last year amid sexual assault allegations against a gynecologist at the school. USC rose considerably in academic rankings and raised more than $6 billion in a funding campaign during his eight years as president, the paper said. 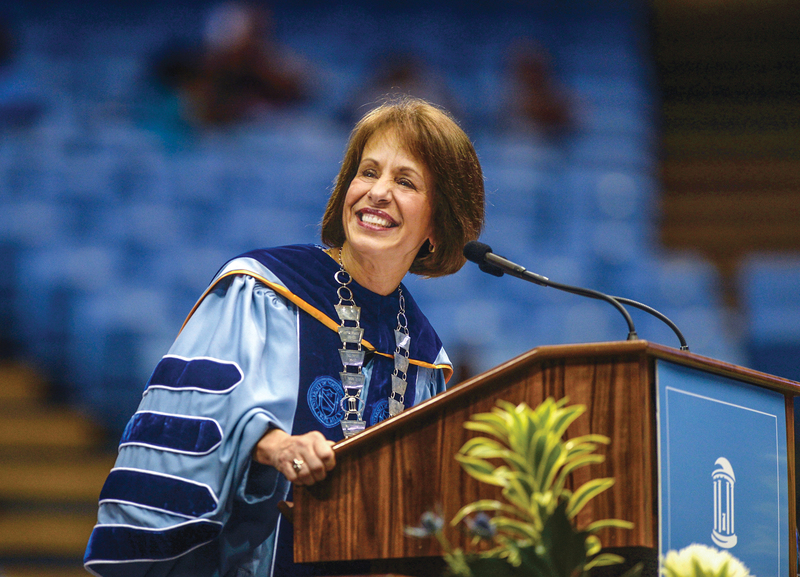 When she became chancellor in July 2013, Folt inherited at its midpoint what became a seven-year athletics-academics scandal over fraudulent classes. That ultimately was resolved in October 2017, when the NCAA’s Committee on Infractions said it found no violations of its rules and announced that the University would not be sanctioned. Now she inherits athletics issues at her new school. Among eight institutions cited recently in a federal investigation of malfeasance in undergraduate admissions — which in some of the cases involves bribes to athletics coaches — USC is the only one at which an administrator was indicted. In 2010, USC was put on probation by the NCAA for lack of institutional control in its football, men’s basketball and women’s tennis programs. Also, an assistant men’s basketball coach pleaded guilty in January to arranging bribes to players. Folt also dealt for most of her Carolina years with controversy over the Confederate monument Silent Sam. The statue’s detractors pulled the statue to the ground in August 2018 after Folt had publicly favored removing the statue over safety and security concerns but was stymied by a state law prohibiting its removal. Her resignation announcement included the news that she had ordered the remains of the monument, its pedestal and commemorative plaques, to be removed from the campus. That prompted the UNC System Board of Governors to accelerate her departure to Jan. 31. Folt had planned to stay in the job until May.